Elkins Tri-Steel, LLC has built our reputation by providing high quality products and competitive pricing on all of our materials. We are a full service post tension and rebar fabrication company. We have the experience, knowledge, tools and equipment to handle any order. We also understand that project success and client satisfaction are the result of the quality of the final product. Our clients can be confident that throughout the entire process, every detail will be overseen by experienced professionals. When you become an Elkins Tri-Steel customer, you have immediate access to a full team of post tension service experts who will assist you with your materials order, facilitation of desired services and on-time delivery of your product. We will manage the entire process, getting you the post tension materials you need and providing you with whatever assistance you require along the way. Our services related to sales, logistics, expediting and delivery of post tension materials are designed to ensure on-time delivery and your total satisfaction. We encourage you to read some of our client testimonials. We will also be happy to give you a list of references that you may contact. Contact us today for a no-obligation consultation or request a quote online! Wherever you're located in Texas or beyond, trust your post tension and rebar fabrication needs to the experienced professionals at Elkins Tri-Steel, LLC. 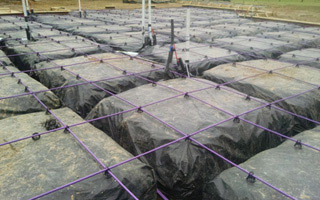 We feature top quality rebar supplies, attention to detail and an overall enjoyable experience for our customers. We are a family owned and operated company, highly skilled in all aspects of post tensioning and rebar fabrication. Are you searching for "rebar supplier near me"? Elkins Tri-Steel, LLC is your premier supply source for post tension and rebar fabrication, serving the needs of the greater Fort Worth area and beyond. We offer a wide array of products along with complete knowledge and expertise. Our experience and attention to detail set us apart from our competition. Elkins Tri-Steel, LLC has earned a reputation for excellence. Our consistent outstanding customer service, unparalleled knowledge and post-tension supply expertise has made us a local leader. Our dedication to customer satisfaction has always been the key to our success. One call to our company, and you’ll see how our experience makes the difference between good work and excellent service. If you are looking for a quality post tension company, please call 817-577-3588 or request a quote online.